Twenty-five years ago, Bill Moyers and Joseph Campbell filmed a groundbreaking series that opened the world of myth, story, and folklore to a large audience. 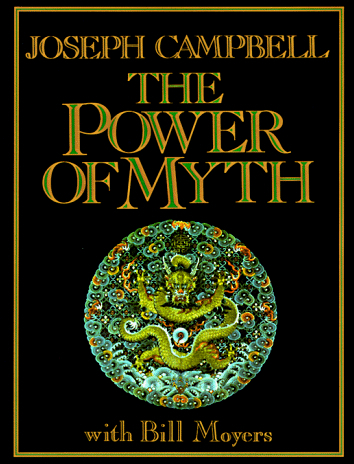 The Power of Myth series was completed in 1987, shortly before Campbell died at the age of 83. It aired the following year on PBS, and you still sometimes find it replayed during pledge drives. The companion DVD set and book are still in print. If you’ve never seen this series – or even if you have – grab some popcorn and fire it up on your largest monitor. This wonderful introduction to key stories from around the world was filmed at George Lucas’s Skywalker Ranch. Lucas was a serious student of Campbell, who structured the first Starwars trilogy around the hero myth. Almost anything I have to say about myth and folklore is influenced by Campbell. In these final interviews, he distills a lifetime of study into a clear but powerful series of tales and observations that forever changes one’s view of the great stories of humankind. This entry was posted in Books, Folklore, Myth, oral tradition, Stories and tagged Bill Moyers, books, Culture, folklore, Joseph Campbell, Myth, stories. Bookmark the permalink. Catching up on my blog reading here. I used the video of the show in my classroom when I taught the hero cycle. Amazing stuff. Thanks for the reminder.